Rage of Romance is a romantic power metal band from Greece that combines atmospheric themes with aggression and power.Rage of Romance were formed on 2010 by Iraklis and Leonidas Deligiorgis, members of Kavala-based metal band Windfall. 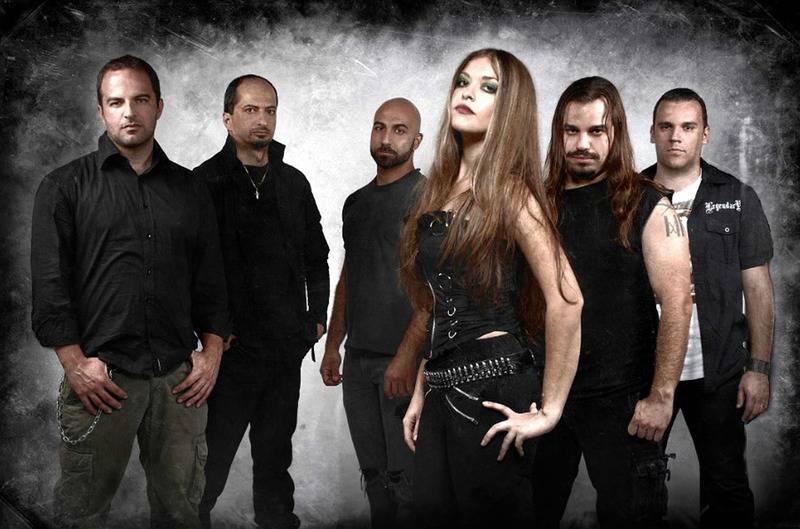 The project aimed to combine atmospheric and symphonic themes with aggression and power, reinventing the boundaries of melodic gothic/power metal music.With the additions of Kostas Giannikopoulos (Keyboards, ex-Windfall) and Michael Tiko (Guitars, Sede Vacante), the band began the composing of material, aiming for their first full length album. Nick Tsiligoudis (Drums,Hatred) joined the band on 2013, while Rage of Romance were completed by the unique and diverse voice of Vicky Psarakis (E.V.E) who appears as a guest vocalist in the band's first and homoymous album that is going to be released on April of 2014 by Steel Gallery Records. Female fronted Metal at its best featuring ex-E.V.E. and current The Agonist (Canada) voice plus Windfall members. 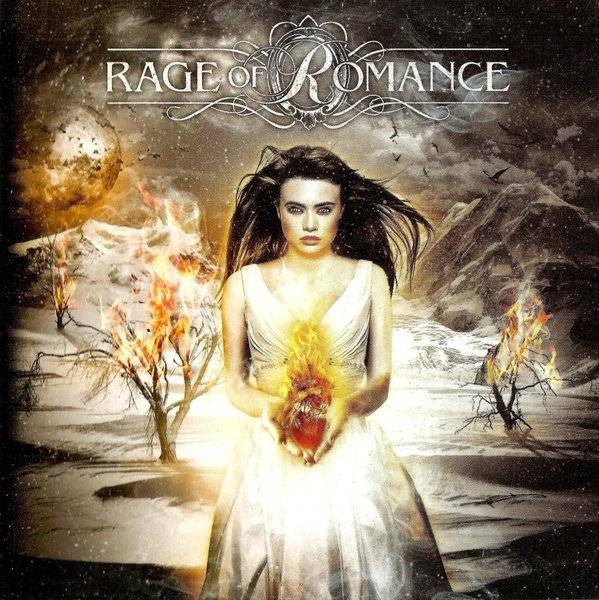 Rage of Romance combine atmospheric and symphonic themes with aggression and power, reinventing the boundaries of melodic Power Metal music. Eight tracks that will stick on your mind forever, presented on a magnificent debut album not to be missed. For fans of later Kamelot, Within Temptation and Epica. 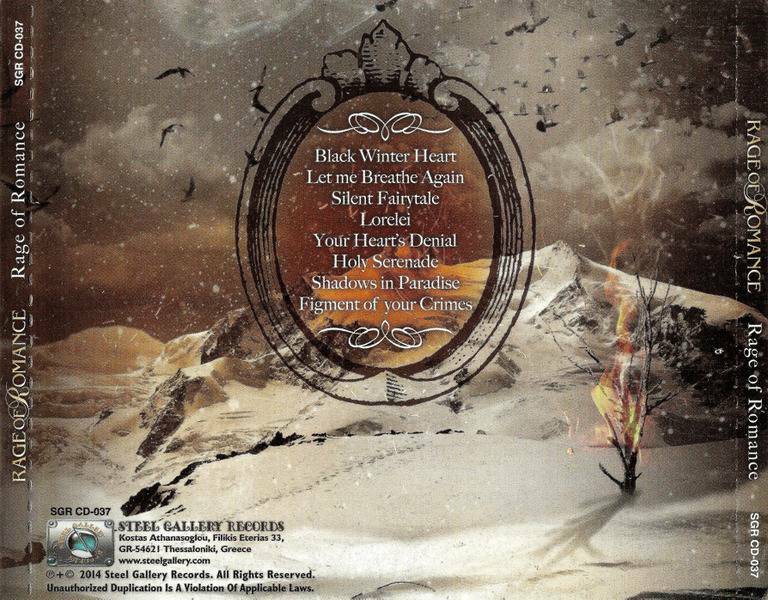 Overall, the sextet of musicians certainly have more of a NIGHTWISH / WITHIN TEMPTATION foundation going on as far as their vocal melodies and central chord choices, but you can hear strains of straight traditional/power riffing in the interplay between Michael Tiko and Leonidas Deligiorgis on cuts like opener “Black Winter Heart” and “Shadows in Paradise”. Vicky Psarakis straddles the line between gothic siren highs and a natural mid-tempo, heavier register – some of her best work occurring on the emotionally somber “Silent Fairytale” and the culturally charged follow up “Lorelei” where she slithers up and down in a snake-like, mystical way through the verses and addictive chorus.In the end the songwriting is acceptable but not worthy of outstanding reverence. Especially when you take into account the thousands of bands clamoring to get consumer attention for this genre. They say you have a lifetime to create the material for your debut record – so let’s hope the band really dig deeper within their creative hearts to develop strong riffs, more intriguing melodies, and an overall more original take on this Power/Gothic crossover.I’m sure RAGE OF ROMANCE will improve as the years roll by – the skill level and ability is evident, now it’s about channeling things in a better way for the overall end result.